SAGA's performance video for the song "You're Not Alone" can be seen below. The track is taken from "So Good So Far - Live At Rock Of Ages", which was released as a 2CD digipak, 2LP gatefold+download code, DVD, Blu-ray and digital on September 28 via earMUSIC. 2017 marked SAGA's 40th anniversary. The band that has combined hard rock, progressive rock and pop like no other celebrated their anniversary with a tour around the globe, saying thank you and farewell to the fans… for now. Now, one year later, the exciting live recording "So Good So Far - Live At Rock Of Ages" sees its release. 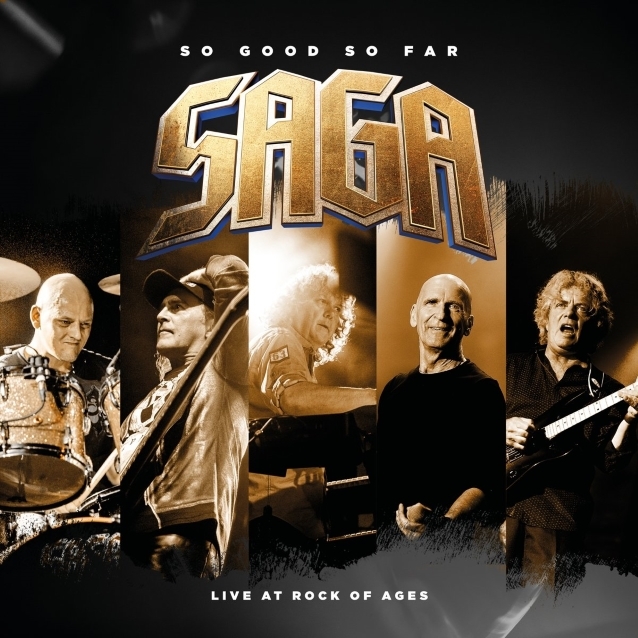 Featuring the most iconic of songs that SAGA has been known and loved for by fans for more than 40 years, "So Good So Far" delivers the epitome of the band's long and proud history — all recorded at the Rock Of Ages festival in Seebronn, Germany in 2017 on both audio and video. SAGA, the headliner of the evening played, an energetic one-and-a-half-hour set in front of thousands of festival goers, featuring the best of 21 SAGA studio albums with classics such as "On The Loose", "Humble Stance", "Wind Him Up" and "Don't Be Late". 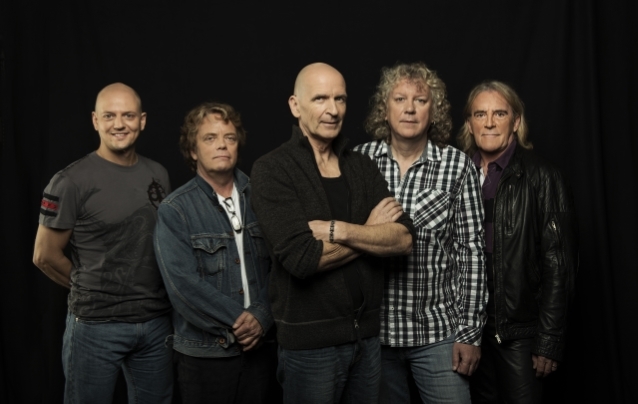 Says Michael Sadler: "SAGA has a very special history with the legendary Rock Of Ages festival in Seebronn, Germany. Founder Horst Franz invited us to perform for the very first one in 2006! Fast forward to 2017 — SAGA returns to the coveted Saturday night stage by special request, celebrating the band's 40th anniversary with our 'Final Chapter' tour. "This release captures the sound and atmosphere of that spectacular night with our musical family and friends that will never be repeated... or will it?" Adds Ian Crichton: "Over the years, it's been a privilege to play to audiences in Europe; it all started in Germany!" 09. What's It Gonna Be? 01. What's It Gonna Be?